Pit bulls and Staffordshire terriers: in general, when people talk about “pit bulls,” they’re usually referring either to the American pit bull terrier or the American Staffordshire terrier. These dog breeds “have a reputation for being unpredictable and dangerous,” and they’re often responsible for fatal dog bites in California. Doberman pinschers: this breed hasn’t been among the most notable in recent years when it comes to dog bite injuries, but Dobermans were involved in a number of attacks back in the 1970s “when the breed’s popularity grew.” A pet Doberman most recently was implicated in a fatal dog bite involving an infant in 2008. Chow chows: while this breed is a popular pet, its tendency to “protect its human family” can mean that it will behave aggressively around other dogs and outsiders. Great Danes: primarily due to the dog’s large size, this breed has been known to be involved in several fatal dog attacks in recent years. Presa Canario: as Bankrate.com explains, this breed “has become somewhat notorious because of a 2001 case in San Francisco” in which “a woman who kept two of the massive dogs is serving 15 years to life in prison because of the actions.” The dogs brutally attacked a neighbor in the hallway of the apartment building, and the injuries proved fatal. 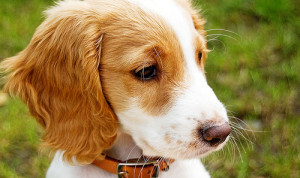 This breed often “makes the list” when it comes to breed bans. Akitas: this breed to known to become aggressively quickly, particularly around children. To be sure, an Akita was responsible for a 3-year-old boy’s severe dog bite injuries in Murrieta, California back in 2013. German shepherds: like pit bulls and Rottweilers, German shepherds often are cited in severe and fatal dog bite incidents. Whether the dog is urban or rural. While there’s no concrete predictive tool for animal attacks, it is important to speak with an experienced San Diego dog bite attorney if you are injured in an attack. Contact the Walton Law Firm today to learn more about how we can assist with your case. Should California Have a Dangerous Dogs Act?